I love the holidays because then I can really have some fun with Peyton’s lunches. All month long I have been using Halloween-themed cookie cutters to make her sandwiches a little more festive. I have even found some fun, fall candies to sneak into her lunch too! Today, Peyton is having a ghostly peanut butter and jelly sandwich. I just cannot get Peyton off the peanut butter and jelly kick that she’s been on for months. While we were grocery shopping yesterday I picked up some blackberries and raspberries.I figure we won’t be seeing those in the stores much longer so I wanted to include them in her lunch one last time. Peyton picked out some yogurt while we were grocery shopping. I was kind of surprised to see she wanted peach yogurt. She also wanted some cheese for her lunches. And I decided to pick up some of the fall harvest crispy M&Ms as a little treat for her lunch. I know this lunch will be a hit with Peyton because she helped pick out the items. Kids love to be included when making decisions. Peyton loves to be included when it comes to picking out items that will be in her lunch but she doesn’t want to be included when it comes time to make her lunch. She likes to be surprised with what is in her lunch box. Overall I think Peyton has a balanced and healthy lunch. She has protein, dairy, fresh fruit and a little treat. 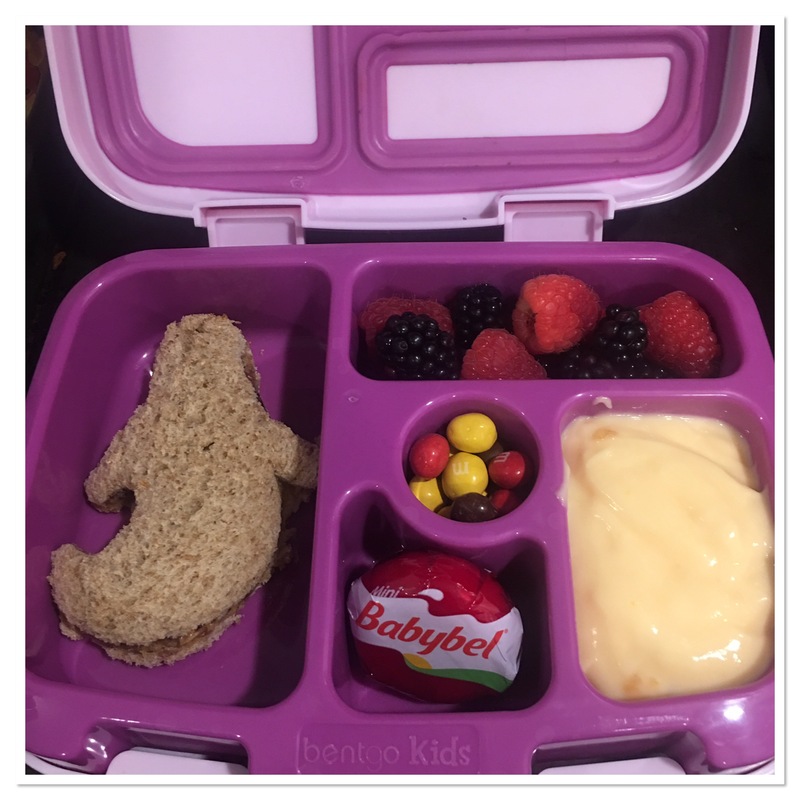 If you are thinking about making your child’s lunches I have several lunch box ideas posted to help get you started. I even include links to the items I use to help make the boxes so you can find them easier.